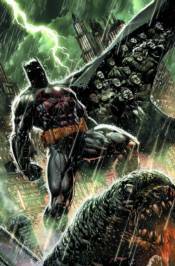 In the wake of FOREVER EVIL, the world looks at heroes in a different light, creating tension between Batman and his allies and the Gotham City Police Department. When a gang war breaks out and new villains arise, it's up to the Dark Knight, Batgirl, and others to turn the tide as best as they can - but will the GCPD be a help or a hindrance? Plus, a fan-favorite character makes her long-awaited DC Comics - The New 52 debut: Stephanie Brown! Don't miss these stories from BATMAN ETERNAL #1-20!